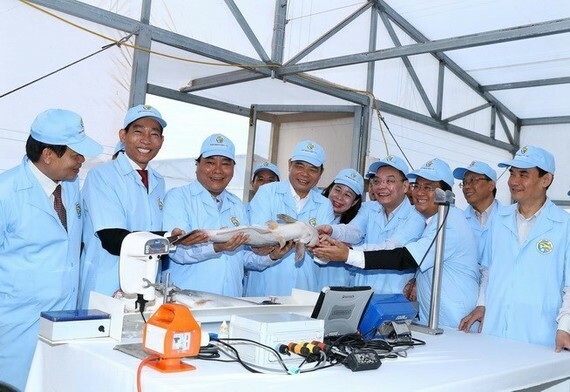 Prime Minister Nguyen Xuan Phuc visited a high-tech tra fish (pangasius) farm in Vinh Hoa commune, in Tan Chau town of the Mekong Delta province of An Giang, on December 14. 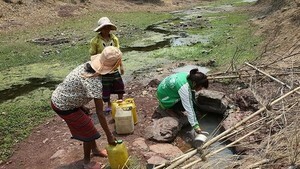 The farm, owned by Viet Uc Pangasius JSC, was built separately from residential areas. A solar energy system was installed to provide electricity to the whole centre. Viet Uc Pangasius JSC is the only company in Vietnam applying high-tech programmes to monitoring fish and producing analyses with the software, thus capable of selecting breeds with the best genetic material. The programme has successfully chosen breeds less prone to disease and with a faster growth rate which have adapted to the province’s environment. The company is currently raising about 3,000 material fishes. An Giang’s tra fish production in 2018 is estimated at 346,000 tonnes, a rise of 61,000 tonnes compared to last year, reported the provincial Department of Agriculture and Rural Development. This year, the province has 1,138 hectares of tra fish farms, 408.7 hectares of which meet quality standards like GlobalGAP, ASC, and VietGAP. According to the provincial Department of Industry and Trade, An Giang exported 73,385 tonnes of tra fish products in the first 10 months of this year, worth over US$177 million.